Today we’re here to share our first scenario with you. In celebration of the May 2nd premiere of Avengers: Age of Ultron, Ninwashui and I have prepared a couple special scenarios that we’re going to play out on our own time. Our first scenario is detailed here today! Ninwashui and I have been chomping at the bit to try out some of these new Age of Ultron Gravity Feed pieces, but this Scenario will also give us a chance to break out some of our favorite older Movie Set pieces as well. 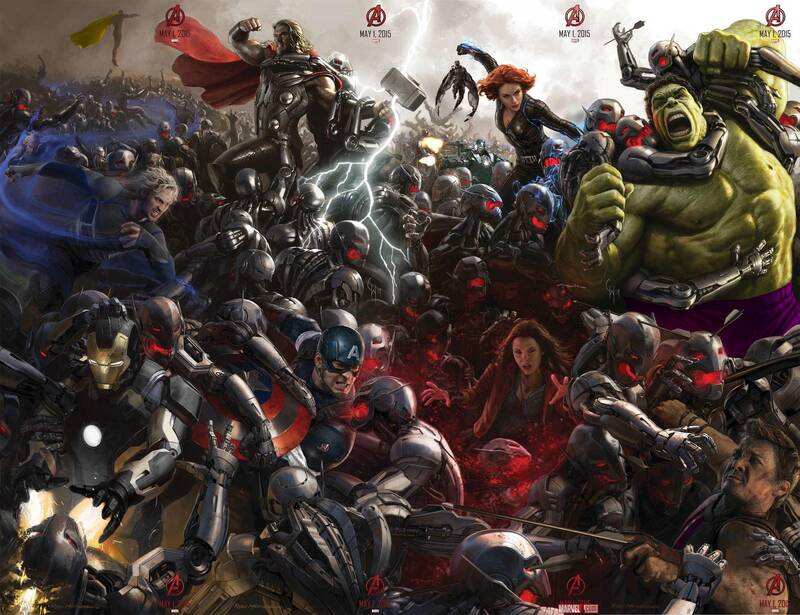 The Scenario: It’s all out war in the Marvel Cinematic Universe!! 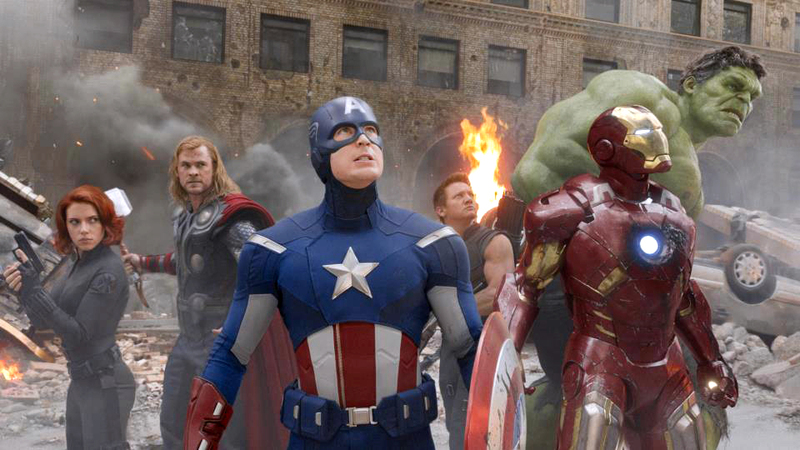 While inside Avengers Tower celebrating their ability to finally subdue the Hulk’s latest rampage, Captain America, Thor, Iron Man and the rest of the Avengers are finally able to relax. During a fun game of “Whosoever Is Worthy to Pick Up Thor’s Hammer,”all of the Tower’s computers suddenly light up. The Tesseract Thor had brought back with him from Asgard begins to spew energy, and a temporal anomaly forms in the Tower’s Quinjet hangar! For a moment, everything seems normal–until the hangar is ripped open, and the Avengers find themselves under attack from the menacing AI of Ultron and his Sentries! 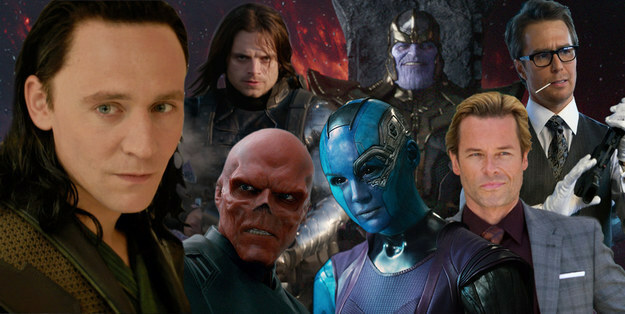 But things immediately go from bad to worse as almost EVERY major villain from the MCU–even some they thought they had dealt with permanently–begin flooding in from the anomaly! 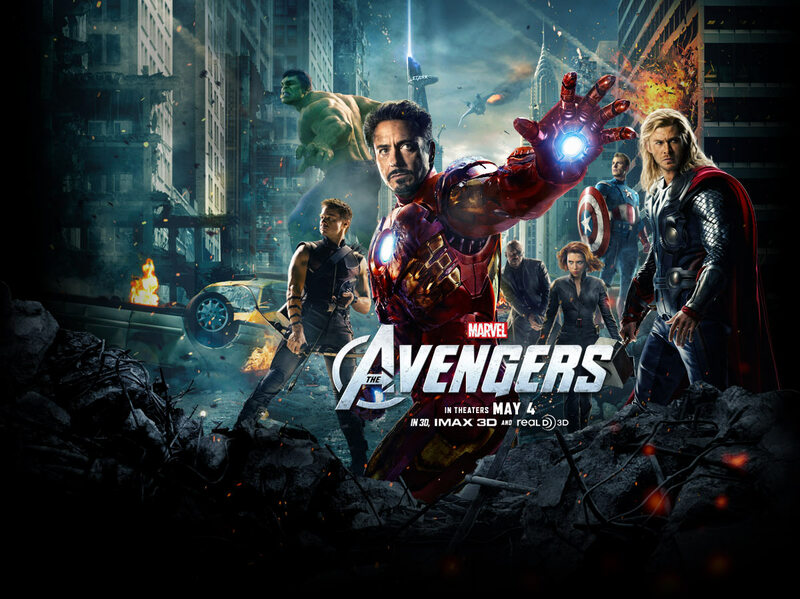 The fate of the world is in the hands of the Avengers, and to save it, they’ll have to fight their worst enemies or die trying. The Map: Avengers Tower (from the Age of Ultron Movie Set Starter Pack). The “Heroes” should begin in the Starting Zone located on the side with the lab, while the “Villains” should start on the side with the open hangar. –When forces are being built, the “Heroes” player selects a Named keyword possessed by a character on his team; each character on his force has the selected keyword. –When forces are being built, the “Villains” player selects a Named keyword possessed by a character on his team; each character on his force has the selected keyword. –At the beginning of each player’s first turn, that player may select a single Additional Team Ability (ATA) and assign that Team Ability to all eligible members of their team. At least one member of a player’s force must have the printed keyword required for the chosen ATA. –There is a restriction of 5 actions per team per turn (NOT COUNTING FREE ACTIONS). This total can be increased by Leadership as per normal. –While we’re not going to bother with declaring Sidelines or anything, the “Heroes” player should have at least 4 Iron Legions stashed off the map (as well as a Captain America and Black Widow & Iron Man and War Machine Duo Figures if available) and the “Villains” should have at least 4 Test Subjects ready to go. –When forces are being built, the “Villains” player may assign either Loki or Red Skull GGS102 Cosmic Cube without paying its cost. During the game, figures named “Loki,” “Red Skull” or “Captain America” automatically succeed when rolling for the Cosmic Cube. Why These Teams? : Because, as I mentioned before, this gives us a chance to really dig into the new Age of Ultron Movie Set while also providing an opportunity to dust off some old favorites. As for these specific rosters, we chose them because–between the two of us–we happen to have all these pieces and the points match pretty damn close (in a 1600 Point game, I’m prepared to deal with a variance of 3 points). Until next time, Stay Safe, and Watch Where You Draw Your Lines of Fire! !